As part of its effort to improve communications with shareholders, the company is providing quarterly updates. The company ceased its SEC reporting in 2002 and the following information is presented for informational purposes only and includes unaudited numbers. Some information may be incomplete or need to be updated if additional information becomes available at a later date. Global Water Technologies. Inc. (GWTR.PK) is a small public company that identifies, develops and commercializes innovative non-chemical treatment, filtration and other technologies to improve water efficiency. Electric H2O has ongoing operations utilizing contract manufacturing and distribution that generates both domestic and international sales. Historically sales volumes have been minimal and uneven, resulting in poor economies of scale and a long sales cycle. Although revenues are still minimal, there is continued and growing interest in such non-chemical water treatment. Electric H2O completed shipments for two international sales in the third quarter. Quarterly financials (unaudited) for Global Water Technologies and Electric H2O have been compiled and posted to OTC Markets. The company believes it has excellent relationships with its suppliers (including one which has 10 percent ownership of the subsidiary) and is now positioned well to improve such operational efficiencies through increased marketing and sales efforts. The company has also started work to update the core technology and continued such work in the third quarter. In 2010, the company identified ballast water treatment as an area of interest and began exploring non-chemical technologies that may have application to meet proposed new regulations in the Great Lakes. Such regulations are expected to impose new treatment standards and may be imposed by a combination of state and federal policies. The company has also begun work on identifying new technologies to provide early leak detection in water mains. A growing number of water main breaks across aging infrastructure in the United States is becoming increasingly expensive as treated drinking water is lost. Early leak detection systems could result in significant savings. 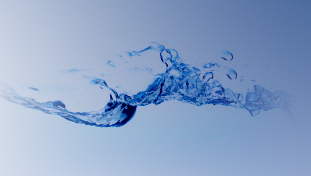 Global Water Technologies has a small patent portfolio that includes U.S. Patent No. 5,951,856 for Water Hardness Reduction Through Interactive Molecular Agitation and Filtration. The patent was issued in 1999 and the 12-year maintenance fee has been paid. On January 11, 2011, the company was issued U.S. Patent No. 7,867,470 for the On-Site Manufacture of Sulfuric Acid. The company has also completed a patent application for the use of forward osmosis to minimize produced water brines that is under review by the United States Patent and Trademark Office. However, in the third quarter, the company received initial notification from the examiner rejecting the claims as unpatentable. The matter is being reviewed with legal counsel. Global Water Technologies filed a Form 15 with the Securities and Exchange Commission in August 2002 to terminate its registration as a reporting company and had not reported financial results since that time. However, in the third quarter, the company began reporting unaudited financials on a quarterly basis through the OTC Markets. As a result of these efforts, GWTR stock was upgraded on the OTC Markets from a status of No Information to a status of Limited Information and it may qualify for Current Information by the end of 2011. The company last filed federal income tax returns in 2005. In 2009, the company was notified by the Internal Revenue Service of two outstanding tax bills from 2005 and has paid one of those and is including the other in its current liabilities. Available financials for the period from 2004 (when the company emerged from bankruptcy) through 2008 suggests that no corporate income tax is likely to be due, since the company had operating losses during that time. Federal tax extensions for subsequent years have been filed. The company took significant steps to improve its capital structure in the past year, resulting in a successful completion of a one-for-one hundred reverse split effective July 28, 2011. As a result, the company ended the third quarter with 8,535,908 shares outstanding of its 1 billion authorized shares. The stock price closed the quarter at $0.05 and traded between $0.01 and $0.095 during the period. The company believes a higher stock price that is no longer trading below a penny will be more attractive to new investors and result in better opportunities to create value for the company. Greater availability to issue additional shares also presents more options for the company to invest in new technologies. The company has also used its shares to raise funds for operations, invest in technology development and to pay down previous debt. As of September 30, 2011, the company has also reserved an additional 1,825,000 shares for convertible promissory notes totaling $397,500 that have maturity dates in 2011 and 2013. Management continues to focus on developing the business of Electric H2O in a profitable manner and seeking new opportunities to identify and develop new water technologies. In addition to those mentioned, the company is exploring other innovative water technologies that could be used to increase revenues in 2012. The company will provide updates on that process as warrented. FORWARD-LOOKING STATEMENT: Statements relating to plans, strategies, economic performance and trends, projections of results of specific activities or investments, and other statements that are not descriptions of historical facts may be forward-looking statements within the meaning of the Private Securities Litigation Reform Act of 1995, Section 27A of the Securities Act of 1933 and Section 21E of the Securities Exchange Act of 1934. Forward-looking information is inherently subject to risks and uncertainties, and actual results could differ materially from those currently anticipated due to a number of factors, which include, but are not limited to, risk factors inherent in doing business. Forward-looking statements may be identified by terms such as "may," "will," "should," "could," "expects," "plans," "intends," "anticipates," "believes," "estimates," "predicts," "forecasts," "potential," or "continue," or similar terms or the negative of these terms. Although we believe that the expectations reflected in the forward-looking statements are reasonable, we cannot guarantee future results, levels of activity, performance or achievements. The company has no obligation to update these forward-looking statements.